Jackson Pearce’s awesome Sisters Red giveaway! Ohhhh dang yinz, this is rad. The lovely and funny Jackson Pearce, the author of the above upcoming book Sisters Red (for which I designed the cover, such a fun gig! ), is doing an amazing 6 months of giveaways for you. So, what are you waiting for? Enter her giveaway of Sisters Red and pass the word around too! 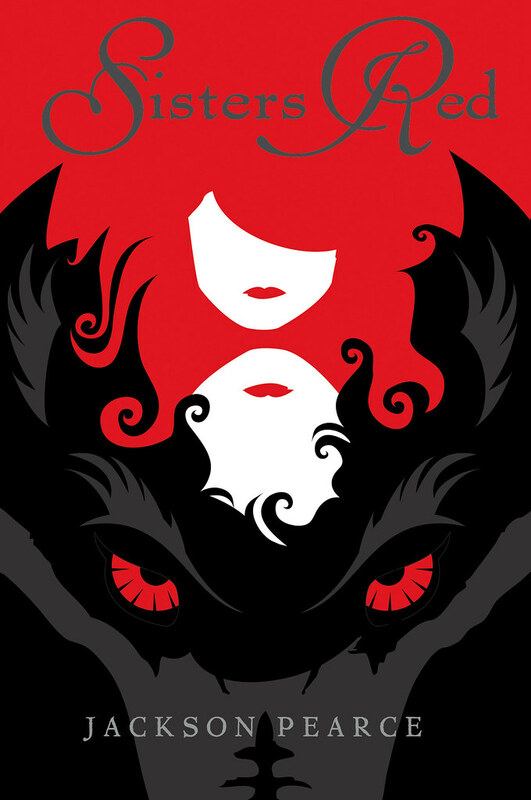 My ARC jacket design for Jackson Pearce's awesome new book "Sisters Red"
Well, OK, this post was a LONG time coming. I’ve been working on a bunch of really fun designs since the summer and haven’t posted many of them here on my blog. In part because for a few, like this one that I am SUPER excited about, I had to wait until everything was final and a full on GO. Naturally having read a manuscript copy of Jackson’s book Sisters Red I can tell you that it’s super awesome and that you should certainly find a copy next year when it’s out (I’ll post a reminder, don’t worry) because it’s quite good. But, in the meantime Jackson is hosting a giveaway of a few of her personal copies of her ARCs on her website here with a super fun video of “Things You Can’t Have” (including her adorable puppy and some of my prints eeeee!) and then happily “Things You CAN Have” too, so check it out. The main problem that this designed needed to solve was to be eye-catching and to be something that would attract you from across a room, say at a bookstore. Fun challenge for sure. So, I hope that you like it. Double thanks to Tracy & Little, Brown & Co. and Jackson! Book publishers, see anything you like 🙂 Feel free to contact us for book jacket design, we love doing them!